Chinese audiences aren't exactly going nuts over the U.S. box office hit "Crazy Rich Asians," despite its all-Asian cast and theme of rising Asian prosperity. BEIJING (AP) — Chinese audiences aren’t exactly going nuts over the U.S. box office hit “Crazy Rich Asians,” despite its all-Asian cast and theme of rising Asian prosperity. Industry data show the film made just $1.2 million over the three days of its initial release, far behind local productions in the world’s second-largest movie market. That compared with the $25.6 million grossed by the Chinese crime drama “A Cool Fish,” according to data from analyst Comscore. The Warner Bros.’ breakout romantic comedy earned $173 million in the U.S. and was a box office hit in Singapore, where it is set. Like most comedies, Jon M. Chu’s film hasn’t been as much of a sensation elsewhere. 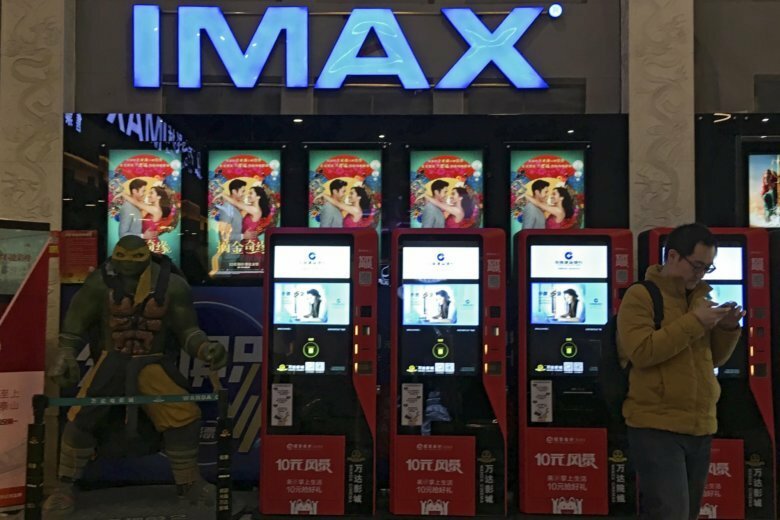 It took months to secure a China release date, a delay some attributed to its portrayal of extremely wealthy Chinese Singaporeans at a time when China’s ruling Communist Party is cracking down on corruption and displays of crass consumerism. Associated Press researchers Shanshan Wang and Fu Ting contributed to this report. This story has been corrected to fix the spelling of Jon M. Chu’s first name.